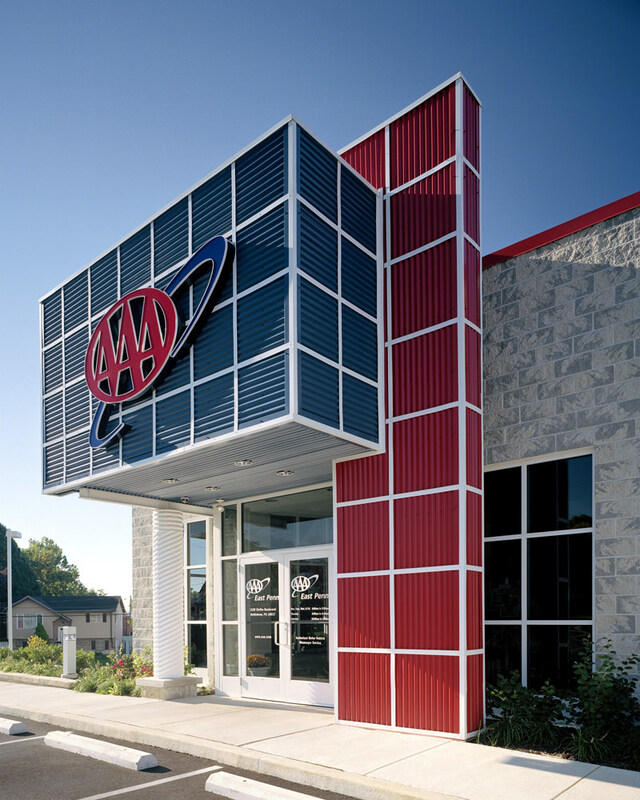 This new 10,000 square foot travel store replaces AAA’s existing building with a contemporary and lively facility designed to better serve their members and the public. 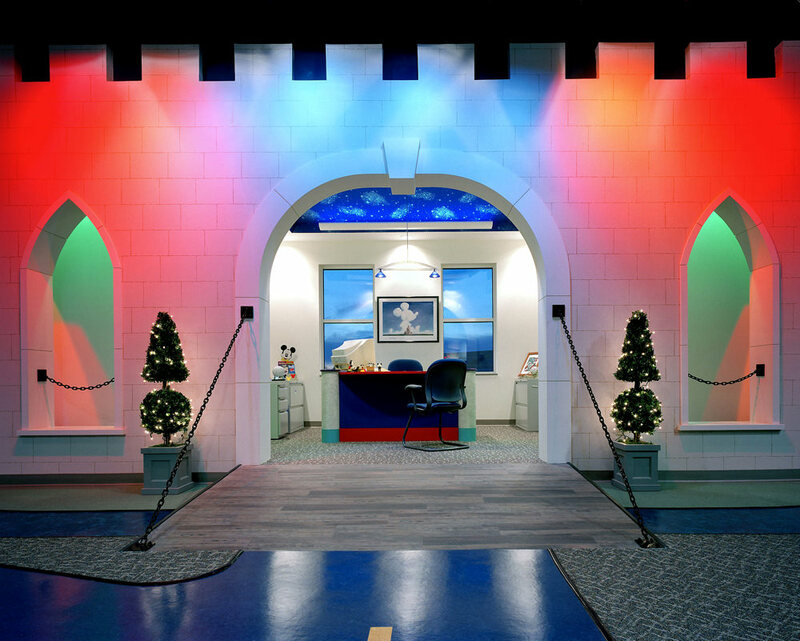 Improvements include an expanded retail area, a 45-person meeting and training room, a dedicated Disney Vacations theme area, and more sales and growth area. 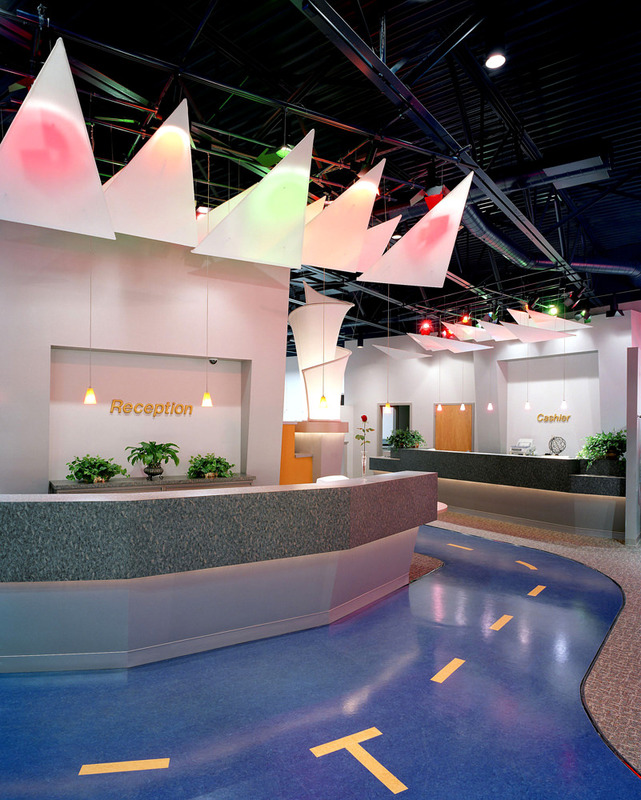 The vibrant colors, shapes, and materials used make the building an exciting place to work and shop. 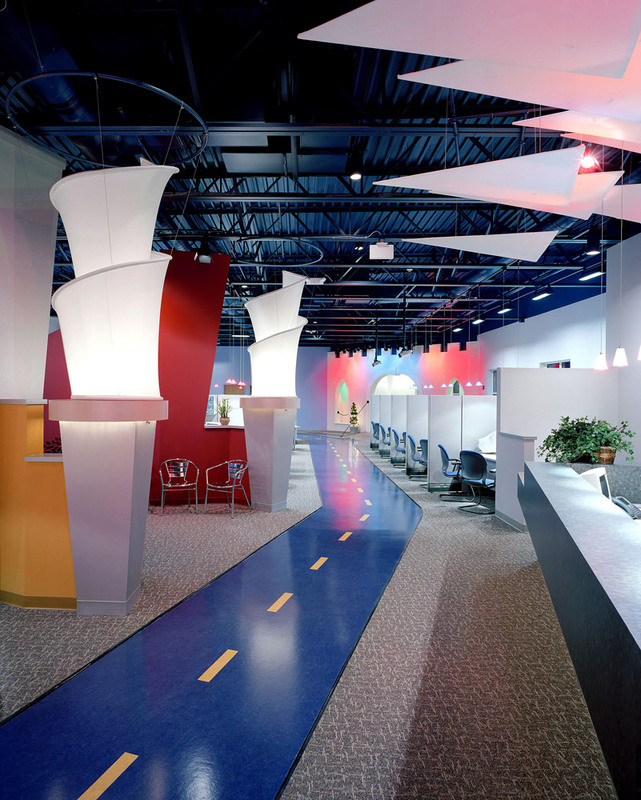 The luminous fabric structures were custom designed to add interest and help define the individual service areas. 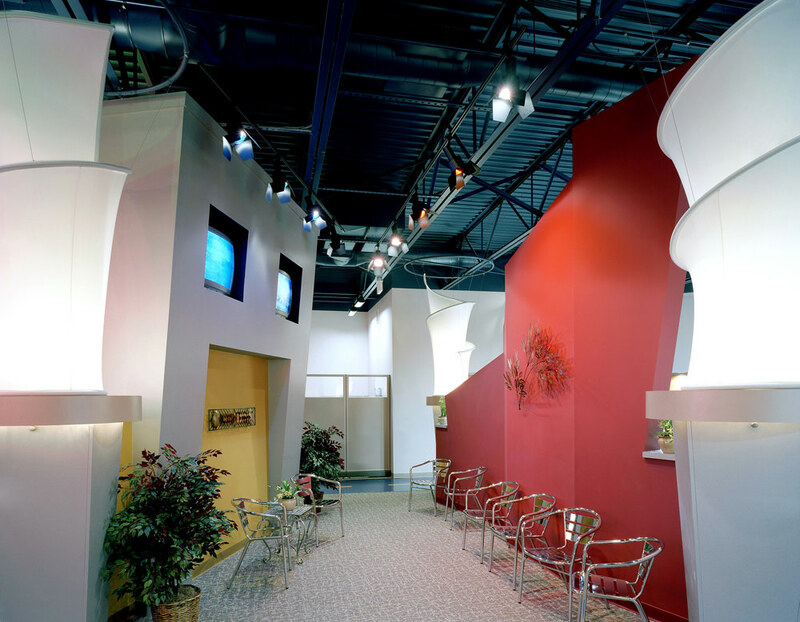 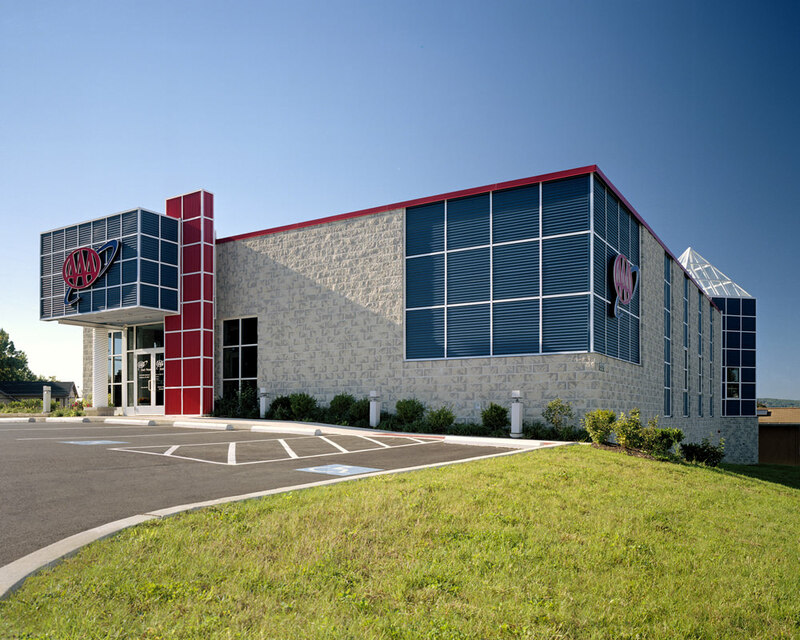 The client has experienced an increase in retail traffic and in travel business, which they attribute directly to the uniquely designed building.